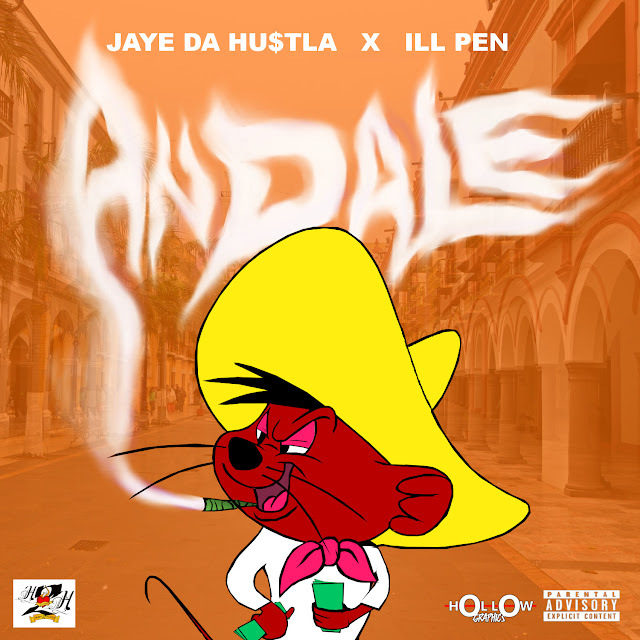 Home / THE LATEST AND GREATEST FROM NEW ORLEANS OWN 12TH WARD JAYE DA HU$TLA & ILL PEN "ANDALE" / THE LATEST AND GREATEST FROM NEW ORLEANS OWN 12TH WARD JAYE DA HU$TLA & ILL PEN "ANDALE"
THE LATEST AND GREATEST FROM NEW ORLEANS OWN 12TH WARD JAYE DA HU$TLA & ILL PEN "ANDALE"
Jaye Da Hustla born Jason Miles Hawkins was born in New Orleans East. I stayed right off of Bullard. Where I was raised with my sister by my mother and my father.That is until the day my father decided to kill my mother and himself right in front of me. My aunt and my uncle took me and my sister in... We moved uptown in the 12 ward on Daneel and Amelia St. right around the corner from the Magnolia projects. This is when I fell in love with hip hop. I started rapping with Lil Ya from UNLV. Then I made my way to an independent label called "Independent Kings". The CEO of the label gave me the name Jaye Da Hustla due to matters that were unrelated to the music business, but I thought it was a cool rap name so I ran with it. Then I was introduced to Johnathan Bender. He played basketball for the Indiana Pacers in the NBA. Together we branded an independent record company called Akright Records. It was at this record label that I was mentored by Soulja Slim. Soulja and I often participated in extracurricular Street activities... it was these activities that eventually got me dropped from the label. Shortly after Soulja Slim was killed, Jonathan decided to put out a friend that I had brought to the label called Young A. It was in that moment that I decided to use my heart to hustle to brand my own label... H.T.H (Heart To Hustle) Ent. I. officially started the label and trademarked the Heart 2 Hustle name right after the hurricane. That is when I met my manager Books and my co-manager Court Digga. They both have extensive backround in the music business working with labels such as... Electra, DTP, BAD BOY, Slip and Slide and this to name a few. As you can see my grind never stopped...neither did my extracurricular Street activities. Which eventually landed me 2 years to the door in Jackson diagnostics Penitentiary in Georgia. This was just a minor set back for a major come back. A work of art like this... from somebody this real ...who has been through as much as I have.